Highlead GC0318-1CE B05 single needle lockstitch side knife binder sewing machine. Featuring heavy duty feeding action by way of: bottom feed and wide walking foot top feed. 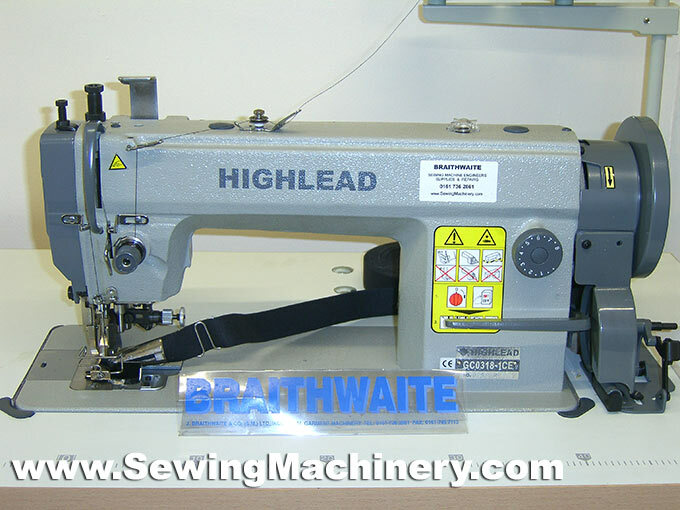 Highlead's industrial side knife binder system: stitches, binds and edge trims in one operation as the machine sews. 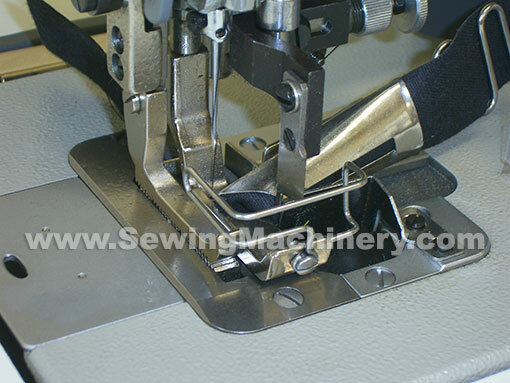 The right sided knife system can be turned on or off allowing: binding and stitching (or stitching only) operations with or without combined material edge trimming at the same time. Optional, or custom made, binding attachments are available for use with different binding tapes and material thicknesses etc. The GC0318-1CE B05 is a purpose built and dedicated side knife binding industrial sewing machine ready for demanding industrial applications.